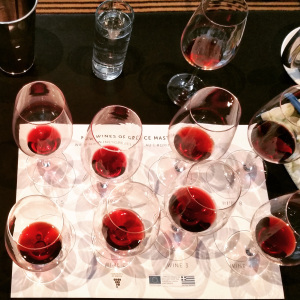 10 things you need to know about Greek wine! I recently attended a two day Greek wine roadshow and masterclass in Sydney where the Greeks showcased their wine under the banner of “New Wines of Greece”. Talk about bad timing though, it was held right as the recent crisis hit the poor buggers back home. I tried hard not to mention the situation because I could tell they were struggling with it all unfolding while they were away. I did chuckle at someone joking that they’d be paying for wine in Greek drachmas by the time they got home. Whoops, sorry.